Psoriasis is a chronic and relapsing skin disease; its cause is inflammatory and non-infectious, and it is therefore not contagious. This dermopathy generates an extraordinary acceleration of skin renewal. Its causes are still unknown; we know the disease is transmitted genetically, as it often affects individuals in the same family group. At the base of the disease there appears to be unusually high sensitivity and a psoriatic-altered response to the external environment: emotional stress, climatic variations, infections, metabolic stress, use of drugs, etc. Psoriasis may affect any skin region but the most common areas are: hands, elbows, nails, extended areas of the limbs, and scalp. On a cutaneous level, the lesion appears reddish, rounded in form, and may vary from a few millimetres to several centimetres. It is covered with several, stacked layers of whitish scales, whose edges are well defined. Being lesions that are highly visible, more often than not the psoriatic patient due to psychological reasons is forced to modify many aspects of his or her daily routine. Symptoms may often be absent, some patients report itching and it can vary from subject to subject. Psoriasis can also go into remission for long periods of time, but the risk of recurrence always remains. This disease has a large impact on the social life and therefore the psychological health of patients. As the lesions are very visible, they disrupt the daily routines and serenity of those who are affected. The therapies vary according to the severity and extent of the condition. Localised (topical) therapies are used in milder forms and systemic therapies (by mouth) in more serious cases. Our thermal waters have an important anti-inflammatory, keratolytic and keratoplastic effect on the skin, greatly enhancing those chronic inflammatory dermatological diseases such as psoriasis and certain forms of dermatitis. Dermatitis is characterised by sudden skin inflammation, which causes troublesome pruritus, as well as a noticeable reddening. It usually affects the hands, feet, inner folds of the elbow and back of the knees, wrists, ankles, face, neck, and chest. It can also often present itself around the eyes. In its infantile form, it occurs within the first months or years of a child's life, usually in an unexpected manner. The sulphurous thermal water has an anti-inflammatory and sebum-regulating effect on the skin. It is therefore particularly suitable for dermatological pathologies such as psoriasis (better if associated with phototherapy), acne, seborrheic dermatitis, skin allergies and mycosis. Balneotherapy consists of full or partial immersion in hot thermal water for a duration and a temperature determined by the physician on a case-by-case basis. The temperature of the water is usually about 36°-37° degrees, and the patient must present himself for treatment on an empty stomach or have fasted for 3-4 hours. After about 15-20 minutes immersed in the hot thermal water, the patient is covered well and left to relax on a lounger for a further 20 minutes, thereby undergoing a period of "reaction time" in which the positive effects induced by the bath, particularly vascular, are completed. A treatment cycle consists of 12 baths performed once a day. The most noteworthy actions of balneotherapy are local, resulting from contact of the thermal water with the skin. These actions can be summarised as keratoplastic, keratolytic, anti-inflammatory, antipruritic, antiparasitic, antimicrobial and sebum reducing and drying. The keratoplastic action stimulates the epithelium, promoting regeneration and keratinisation of the skin where lesions are present, and thereby healing the skin. The keratolytic effect is determined by the exfoliating properties of sulphur, and skin renewal and/or the elimination or reduction of desquamated skin where present will occur. The thermal water has an anti-inflammatory action on contact with the skin resulting from oxygen subtraction, thus reducing itching. The thermal water’s anti-parasitic and antimicrobial properties are also related to this reduction activity. Furthermore, the thermal water performs an anti-seborrheic and sebum-reducing action on the skin, once again thanks to the remarkable presence of sulphur. It should also be noted that the absorption of minerals that takes place during balneotherapy, above all through inhalation, has a positive influence in treating metabolic disorders, alterations of an allergic type, states of intoxication and liver and digestive tract disorders, conditions which often lie at the base of some cutaneous pathologies, as in the pathogenesis of eczema for instance. Balneotherapy is also beneficial in the treatment of diseases of the arteries and veins. Among the peripheral arterial diseases that balneotherapy can benefit are atherosclerosis and diabetic peripheral arterial disease. Among venous diseases, there are positive indications for postphlebitic syndrome secondary circulatory disorders, responsible for oedema and dystrophies. Our thermal waters have an important anti-inflammatory, keratolytic and keratoplastic effect on the skin, greatly improving chronic inflammatory dermatological diseases such as psoriasis and certain forms of dermatitis. Vitiligo is a pigmentation disorder caused by the destruction of melanocytes (pigment-producing cells) in the skin. This causes the appearance of white patches on the skin on various parts of the body. Similar patches also appear on the mucous membranes (tissues lining the inside of the mouth and nose) and the retina (the inner membrane of the eyeball). Sometimes, hair growing in an area affected by vitiligo will turn white. Phototherapy is based on the use of equipment that artificially reproduces ultraviolet rays and simulates the beneficial effects of the sun. Prescribed by a dermatological specialist, this therapeutic method uses UVB rays for the non-surgical and non-pharmacological treatment of numerous dermatological diseases including psoriasis, vitiligo, pruritus, atopic dermatitis and skin lymphomas. Immersion in hot water has a rejuvenating effect on the skin and relaxes the entire body. It is therefore particularly suitable for dermatological pathologies such as psoriasis (better if associated with phototherapy), acne, seborrheic dermatitis, skin allergies and mycosis. Of particular note is the specific benefit that patients with pityriasis versicolor (mycosis) can gain. The above therapy may also be carried out under the SSN. 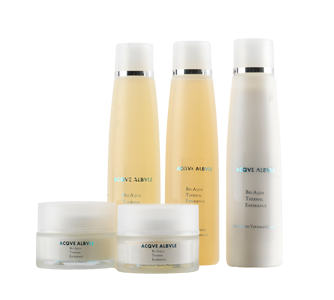 The key objective of the treatment is to reduce the contrast between the affected area and healthy skin. The choice of therapy depends on the number, location and size of the patches, how widespread they are and on individual preferences. As each patient responds to the therapy differently, one specific treatment may not work for everyone. Current alternatives include medicines, surgical interventions and ancillary therapies (used to support surgical or medical treatments). Complete treatment of PSORIASIS and of all skin diseases (dermatitis, eczema, fungal infections, etc.). 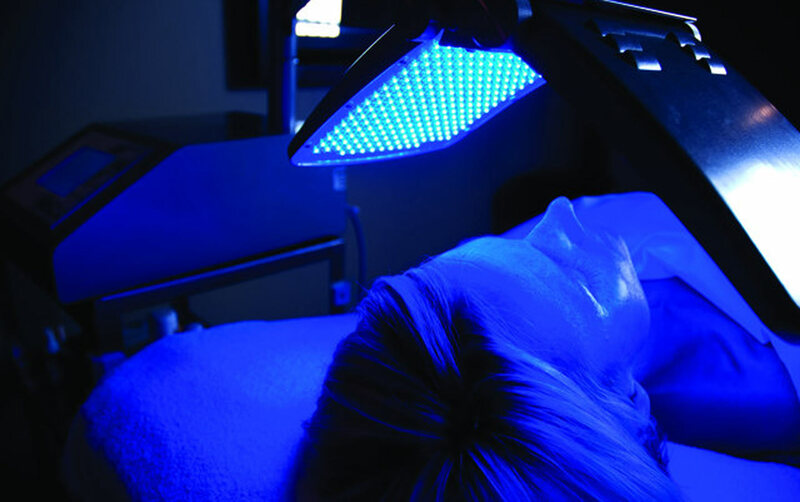 The soothing and anti-inflammatory action of the sulphurous hot bath is combined with phototherapy, a special narrowband UVB lamp required to eliminate inflammation from the deeper layers of the skin and to accelerate its regeneration.